Our Salon has a relaxing and tranquil ambience. Here at Bourne Beauty Rooms we are committed to provide a wonderful experience for both ladies and gentlemen in our Salon. With our professional approach to all of our treatments, our client focus to provide an exceptional treatment for you and your needs and our passion for our industry focusing on using luxury brands, quality products and keeping up to date with the latest trends and techniques. 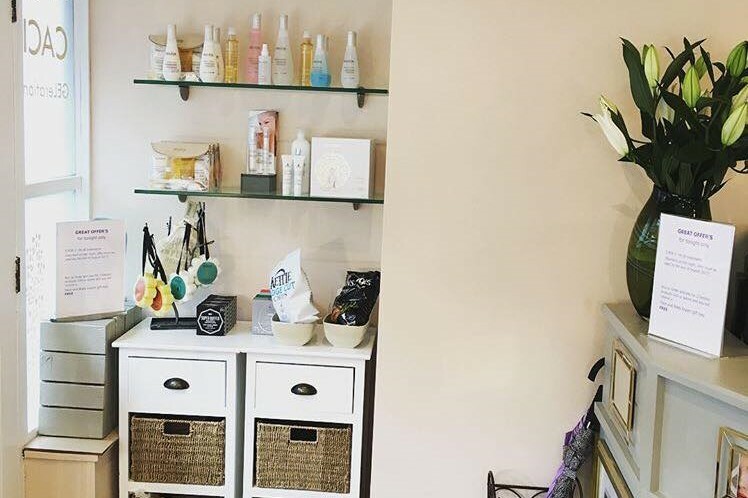 Our Salon has a relaxing and tranquil ambience, where we want you to arrive and instantly feel comfortable and know that your stresses melt away. Our welcome from our therapists will help you feel comfortable and know that you will be looked after. Our treatment rooms create a serene and calm atmosphere and our couches designed for your comfort and even heated dependent upon your treatment. Our team of therapists are all fully qualified and insured and we work together as a team to provide the highest of standard and expertise for all of our treatments and products. We look forward to welcoming you in our Salon soon. Fantastic salon with very efficient and proficient staff. Never been disappointed. Charlotte is awesome.